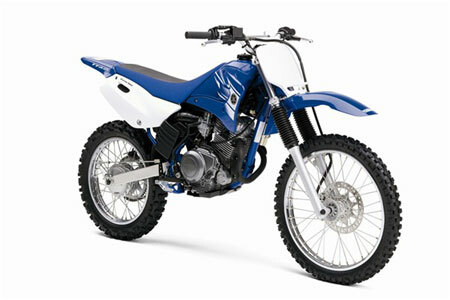 If you like to get out, get dirty and have a blast, the TT-R125L is ready and waiting for you. Mid-sized riders will appreciate the performance of the potent 124cc, 4-stroke power served up through a smooth shifting 5-speed transmission. Front disc and rear drum brakes give the knobby tires the stopping power you demand. 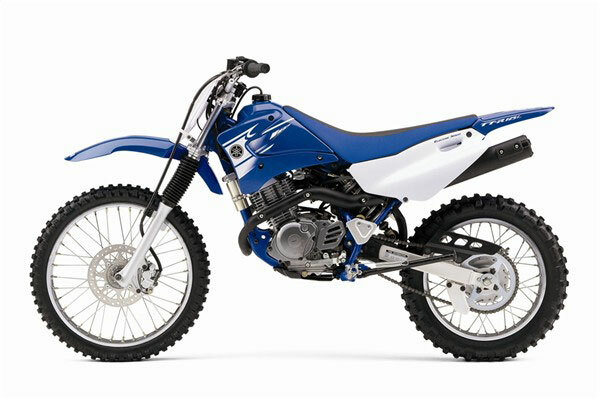 CD ignition, automatic cam chain tensioner and a tool-free air filter mean you’ll be spending your time out on the trail, not tinkering in the garage. – Potent, air-cooled, 124cc, SOHC, 2-valve, 4-stroke powerplant produces broad torquey power tuned for maximum, novice friendly off-road performance. – CDI ignition system provides a strong spark for sure starts and never needs maintenance. – Lightweight, upswept exhaust system provides quiet performance and is fitted with a spark arrestor to protect Mother Nature. Heat shields protect riders from hot components. 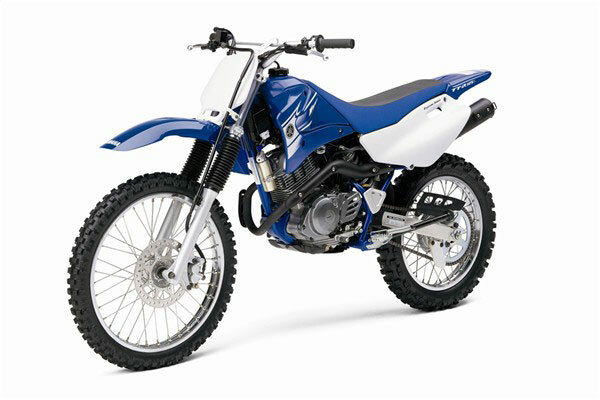 – Rugged, diamond-type, steel frame design features longer wheelbase and higher seat height to accommodate larger riders while still maintaining quick, agile, off-road handling. – Rugged, box-section, steel swingarm enhances rigidity and features easy-to-use, eccentric chain adjusters. – 30mm front fork with 180mm (7.1″) of wheel travel features slightly stiffer settings than the TT-R125 to deliver more aggressive, off-road performance, bump absorption and handling. 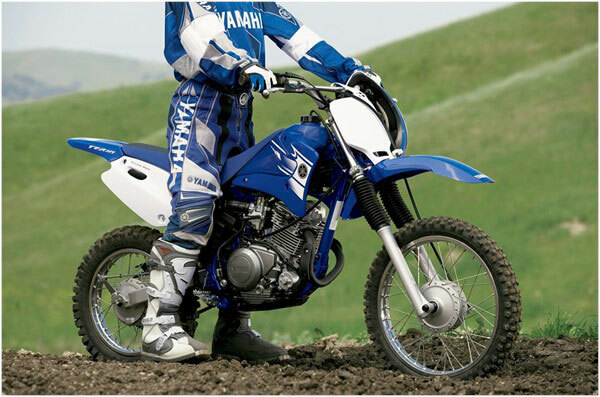 – Fork boots extend fork seal and stanchion tube life by reducing mud and dirt damage. – Monocross link, single shock rear suspension also has firmer settings than standard TT-R125 to provide better bump absorption for more aggressive riders. 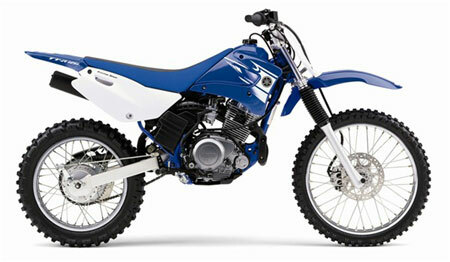 Spring preload is adjustable to suit rider’s weight and trail conditions. Rear wheel travel is 168mm (6.6″). – 805mm (31.7″) seat height and 295mm (11.6″) of ground clearance creates a nimble, sharp-steering package capable of tackling the toughest trails and terrain. – Front 220mm disc with twin piston caliper and rear drum brakes deliver strong, confidence-inspiring stopping power. – Rugged, YZ-inspired, plastic bodywork resists damage in the event of a tip-over.